When I was asked to join this project I decided to do a little digging to help my thinking about our focus. Our byline is – Building Relationships, Empowering Learners. I am a word nerd sometimes and headed right to dictionary.com. What do these four words mean? I have my favorite books for launching reading workshop, writing workshop, math workshop and routines/behaviors. I began to wonder if I had books to help support building relationships and this is what I discovered…in no particular order. Instead of telling a summary of each book, I tried to highlight aspects of relationships in each. It’s my intent to use these books in launching conversations that help build relationships for my new learners in an effort to empower them while spending our year together. 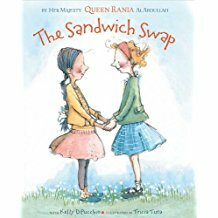 The Sandwich Swap by Kelly DiPucchio begins with two friends who love many things the same except their lunch. Their lunch differences cause quite a stir and divide between the girls. They have the courage to try different lunches and realize autonomy is a positive thing. 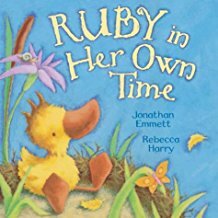 Ruby in Her Own Time by Jonathan Emmett is a story about a duck family with ducklings on the way. Four strong and able ducklings are born with one, Ruby taking her time to join the world. Once Ruby joins the world she takes that same pace to grow and learn and succeeds. 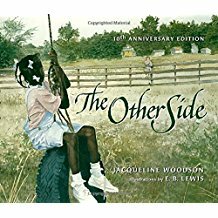 The Other Side by Jacqueline Woodson takes a look at physical and emotional barriers and how a simple question can open doors. The girls find a way to spend time with each other and respect those barriers. 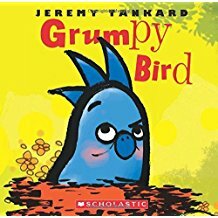 Grumpy Bird by Jeremy Tankard has a very grumpy character who doesn’t really want to interact with others. However, his friends think differently and decide to join him on his walk; it’s a way to spend time with him. The walk turns into a little simon says in a way and changes one grump to happy. 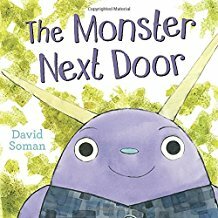 The Monster Next Door by David Soman begins with two characters copying each other by doing and saying silly things. However, those silly things get a bit carried away and feelings are hurt. You’ll want to read this one to see how things get mended between a boy and a monster. 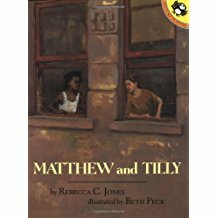 Matthew and Tilly by Rebecca C Jones is another story that starts out with friends doing everything together but then they get tired of each other. I think it’s important we model this as a part of relationships. Matthew and Tilly play independently but realize it isn’t as joyful. 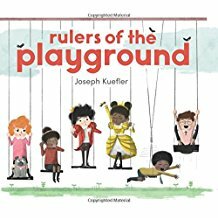 Rulers of the Playground by Joseph Kuefler creates a story where a king and queen each take over the school playground. The playground gets divided and there are things to be conquered which leads to an empty playground. The king and queen step down returning the playground to a happy ever after place to be. 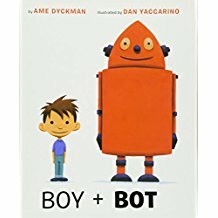 Boy Plus Bot by Ame Dyckman begins with an injured character and the care provided by another based on what he would want done to him. These things don’t necessarily work until some guidance is offered for what is best for someone who is different. Readers will enjoy how the two characters find common ground. 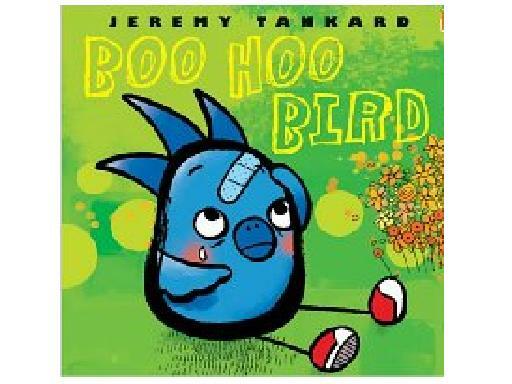 Boo Hoo Bird by Jeremy Tankard is a story about support and efforts to help. It’s a story that builds upon itself with each new character and idea of support. The characters are full of cooperation and willingness. 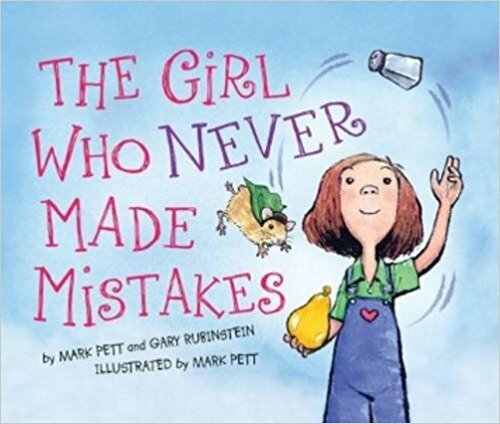 The Girl Who Made Mistakes by Mark Pett is about a girl who is focused and successful until one day she makes her first mistake. With care and support and acceptance she and her community are able to be healthier. Pingback: Is it possible to have a Daily Connection Community?